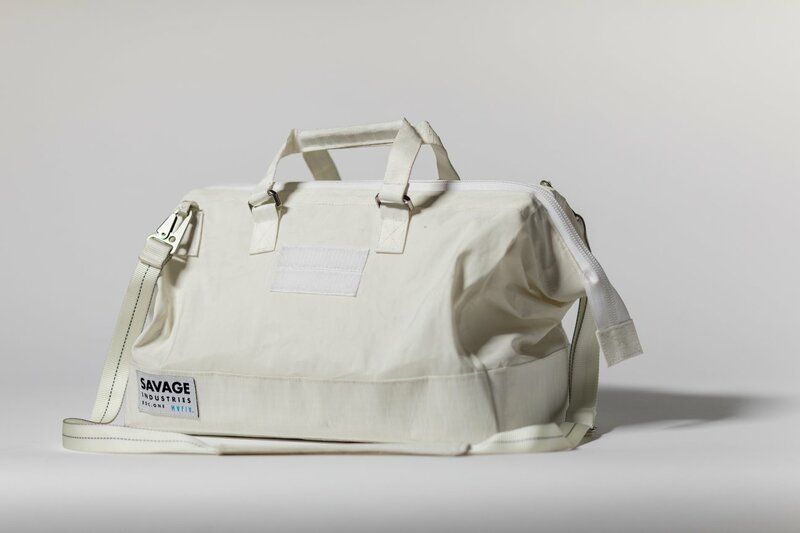 Retired Mythbuster and maker extraordinaire Adam Savage (previously) gave up on finding a bag to carry everything he needed and designed his own, a white, Gladstone-style toolbag that costs $225 and ships in time for Christmas. I have, and have always had, a bag problem. I use them constantly: for carrying tools, notebooks, or computers. I use them for shop work, when I'm in production, and for travel. I'm hard on my stuff and I’ve spent my life on the hunt for the perfect bag. One that fits my desire for utility, simplicity, durability, and also looks. I have collected over a hundred bags and tool boxes and while I have some excellent pieces, I’ve never found the bag of my dreams. So I decided to make it myself. This bag is similar in form to the aluminum doctor's bags I built and used as a modelmaker in the film industry for 15 years. It is also inspired by Neil Armstrong’s Purse that he took to the moon and stored some Apollo hardware in.Made here in the US. Constructed primarily from recycled sailcloth, every bag is unique. It’s also nearly indestructible. Durable and lightweight, it's ideal for whatever your need. It can be a tool bag. A camera bag. An overnight bag. It’s a literal blank canvas.